Mix, pour and store dressings with the Prepworks from Progressive International SAL-102 2-Cup Dressing Salad Shaker. 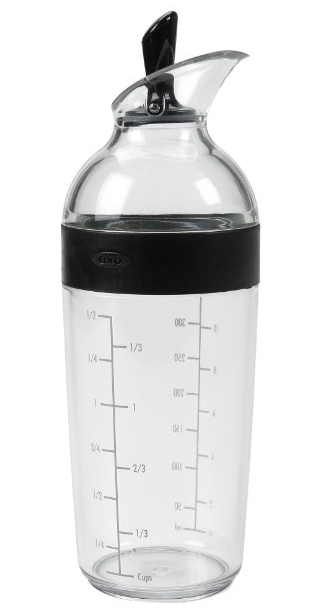 This salad dressing shaker with agitator has gliding paddle wheel which mixes and emulsifies when shaken. 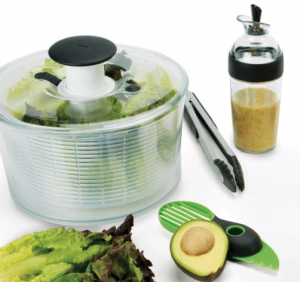 This efficient kitchen tool mixes all types of dressings quickly and easily. It also comes with silicone seal for mess free storage and transportation. Measures up to 2 cups or 500 ml. Dishwasher safe. Combining elegant design with flawless function, the Eva Solo Dressing Shaker offers a perfect way to shake up your favorite salad dressing. 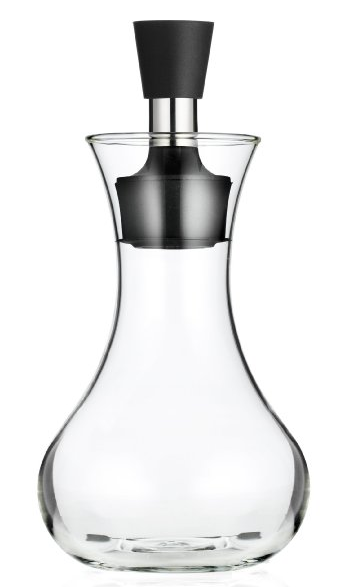 This dressing shaker from Eva Solo includes a 0.25-liter glass container, a spout, and a stopper. Easy to use–simply add oil, vinegar, and your favorite spices, shake well and serve. Also easy to clean with soap and water. This simple and elegant salad dressing shaker set will be a great buy. If you think the Kolder Salad Dressing Bottle is just a simple bottle, then you are wrong. This functional salad dressing bottle offers a perfect place to mix and store homemade salad dressing. With eight easy to read salad dressing recipes printed on the outside of the bottle, you can easily get the precise ingredient levels for each ingredient. 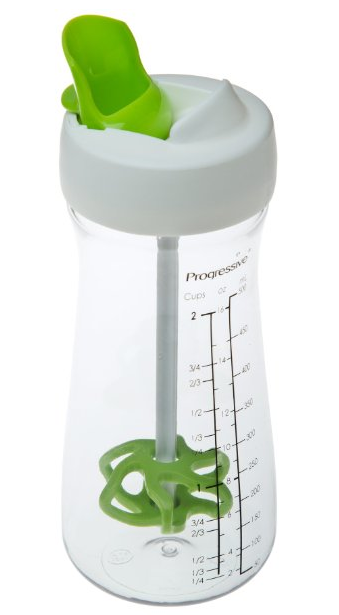 Now make creating fresh homemade dressings a breeze with the Kolder Salad Dressing Bottle. Anyone looking a super easy way to mix and store salad dressings will love the Vibe Salad Dressing Mixer. This salad dressing mixer is easy to use: simply fill with all needed ingredients. move ring up and down to mix. Ring sits sideways for easy pouring. The bottle also features 2 recipes: Honey Mustard and Balsamic Vinaigrette. Top-rack dishwasher safe for easy cleanup.